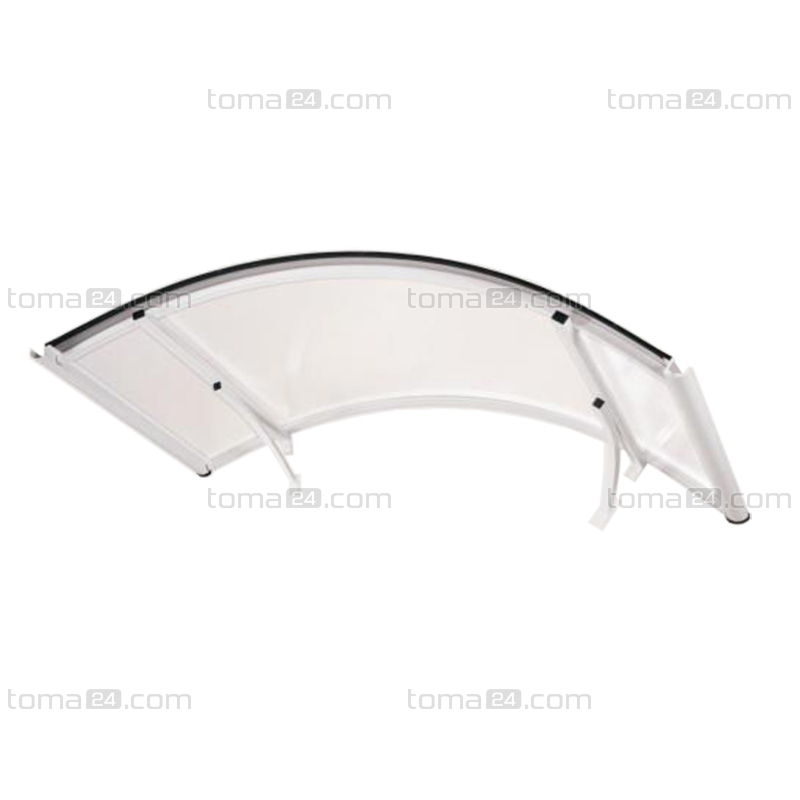 Canopies over the doorway are made of high-quality cellular polycarbonate. Aluminium profiles are powder coated. They are dedicated to self-mounting without using additional reinforcement. 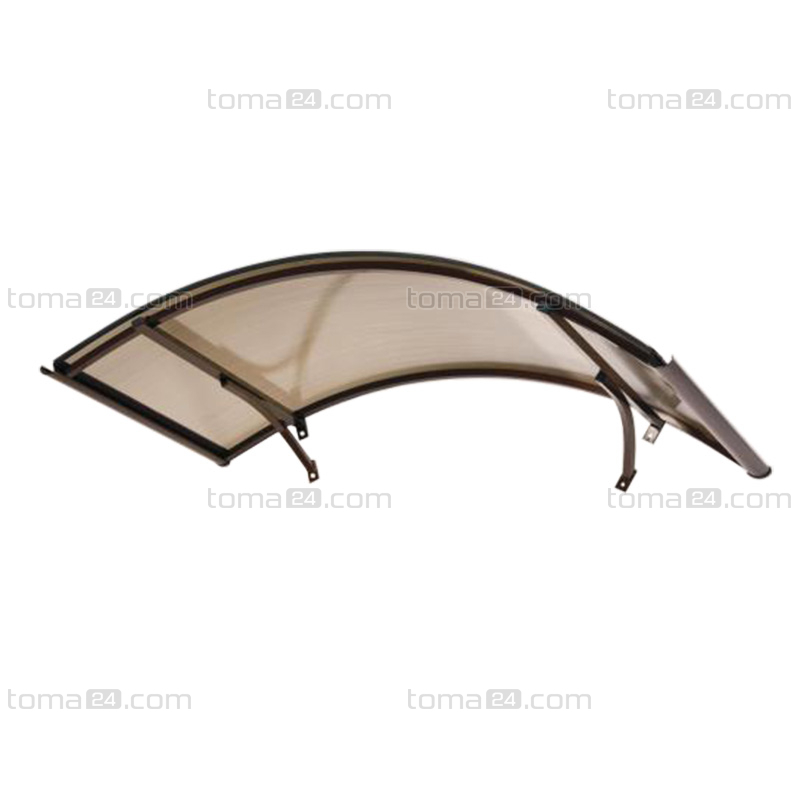 Because of using such materials the canopies are light, durable and easy-to-assemble. 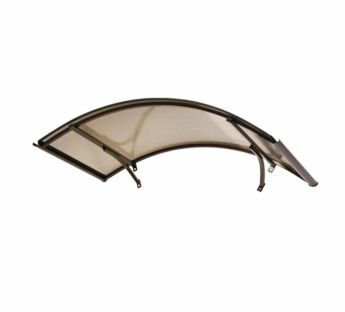 They are available in 2 colours of profiles as well as with a clear and smoked polycarbonate pane. 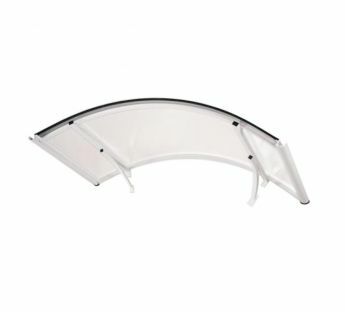 A side panel made of the same materials is an additional element suitable for a system connection with an arch canopy and a flat polycarbonate canopy. The side panel can be connected with a canopy on either side. The side pane cannot be connected with canopies Eko. the canopy is not resistant to snow layers falling from large heights, ice blocks, etc.